The last week was abuzz of activities surrounding World Environment day on 5th June 2018. The theme discussed widely was “Plastic Pollution” and the ways to reduce, refuse and recycle plastics, so that it doesn’t end up in land-fills. 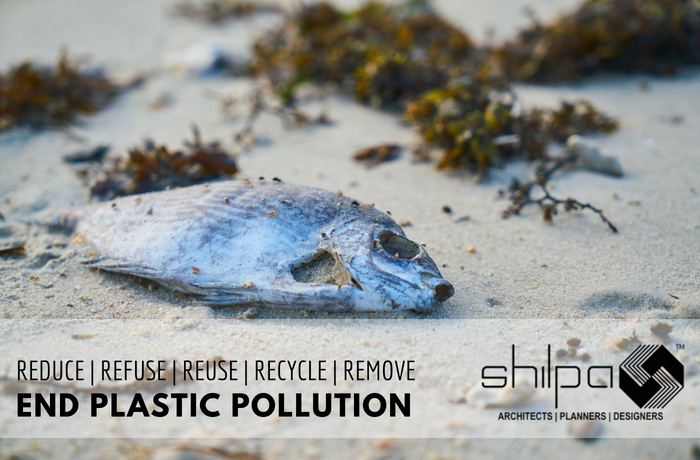 We at Shilpa Architects have regular discussions on how to be responsible about the environment. When we moved into our new premises in March 2013, we began with “100% Waste Segregation at Source“. We then set out to find recyclers / up-cyclers who would collect the segregated waste and responsibly move them through the process so that the products don’t end up in land-fill. The Organic Waste collected from tea leaves, food waste, was taken up to our Kambha Pot on the Terrace, and the manure was used for our out-door garden and indoor plants. 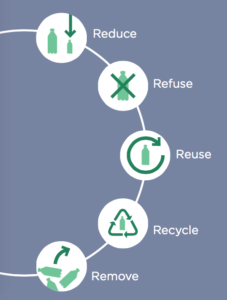 In May this year, we set out to do a 6-week program on Plastic Promotion, with the help of the “Plastic Pollution Primer and Action Toolkit” from earthday.org. We have just completed our 5th Week of the program, and have reinforced the need to “END PLASTIC POLLUTION”. “Plastic pollution is now recognized as a hazard to public health and the human body. Chemicals leached from some plastics used in food/beverage storage are harmful to human health……….. If other reasons to consume less plastic weren’t already enough to convince you to act, the fact that consuming plastic products exacerbates climate change should be an important reason to take personal responsibility and make a commitment to help End Plastic Pollution.” -Page 5 of the “Plastic Pollution Primer and Action Toolkit”. Please download the toolkit available here and action plans to “End Plastic Pollution” today! Reach out to us at admin@shilpaarchitects.com to hear our story and get started on your own journey for making the planet more sustainable! Posted in Article Event .